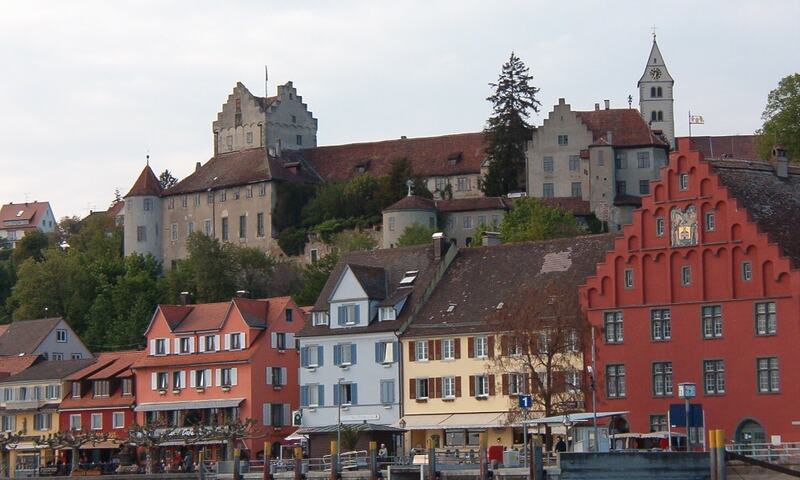 Meersburg Castle, also known as the Alte Burg (The Old Castle) is the oldest inhabited castle in Germany. The central tower was first built during the 7th century, though the original structure is no longer visible. The castle is located on a rocky outcropping near Lake Constance (Bodensee), about 440 m above sea level; the towers are above the Lower City, but it is about level with the rest of the city. Portions of the castle are open to visitors on self-guided tours.